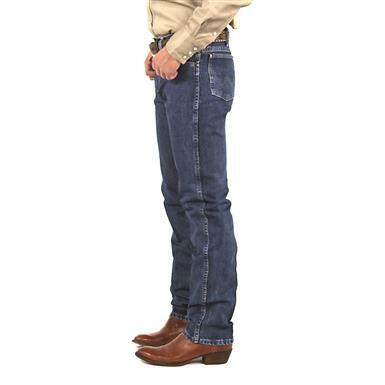 Cowboy cool for an 8-second ride or a night on the town! 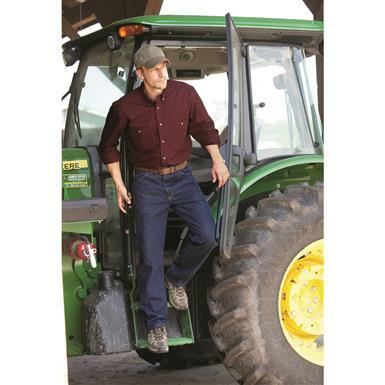 Versatile style for all you do. 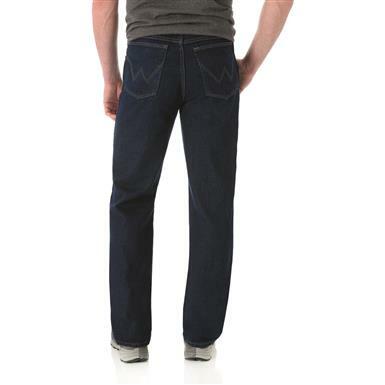 The popular choice, in a slimming style. 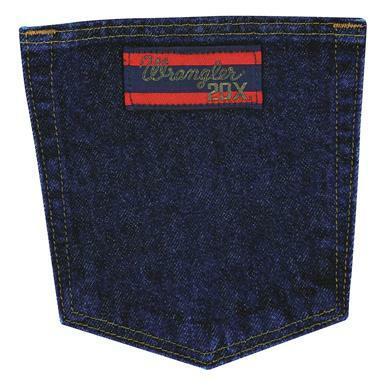 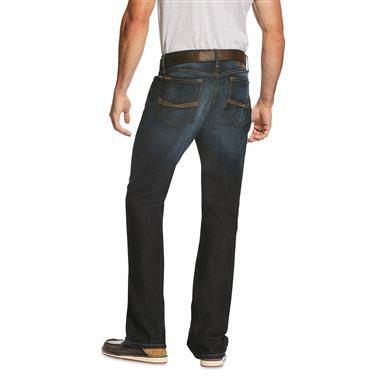 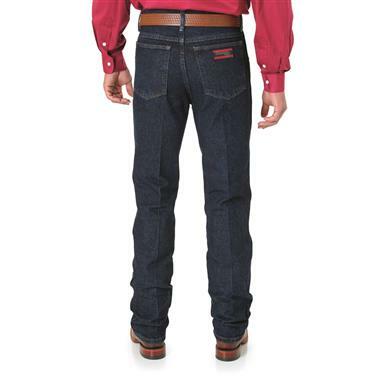 100% cotton denim, 14.75 oz. 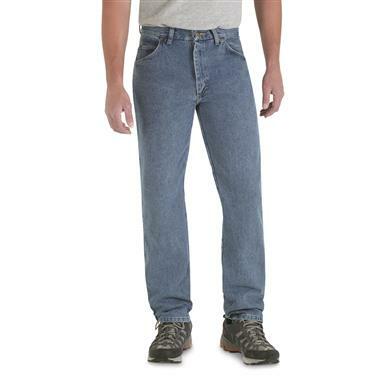 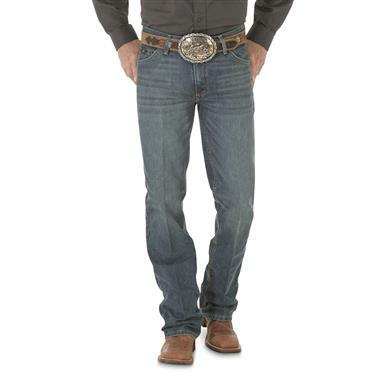 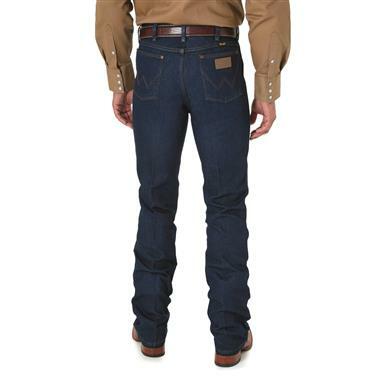 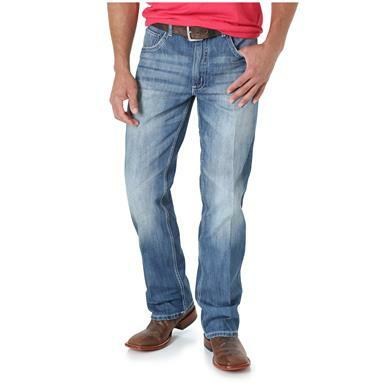 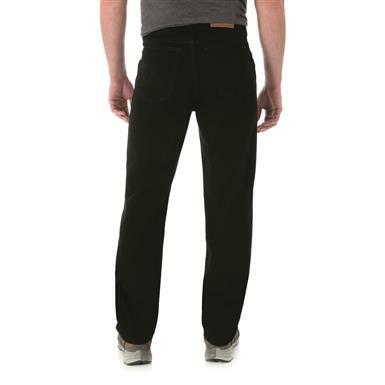 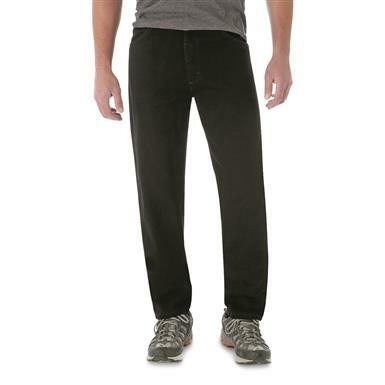 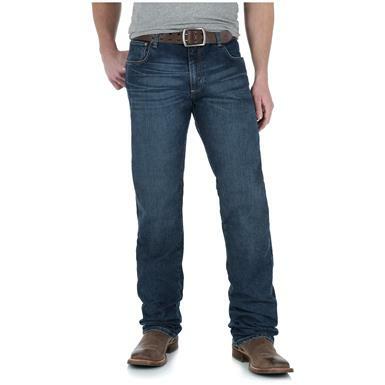 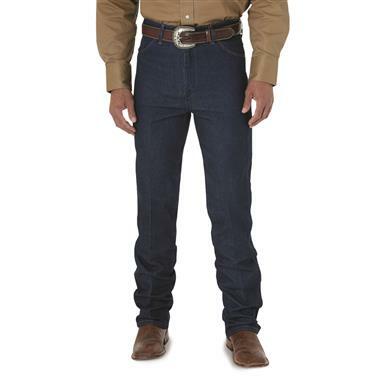 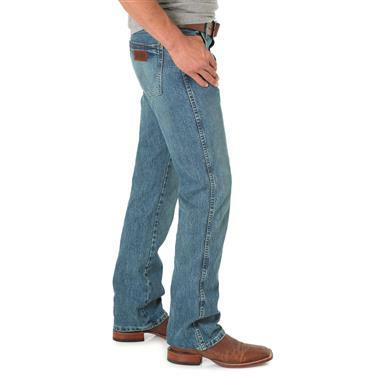 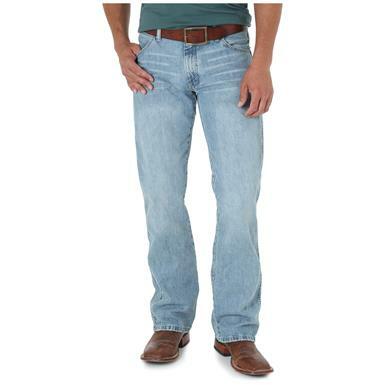 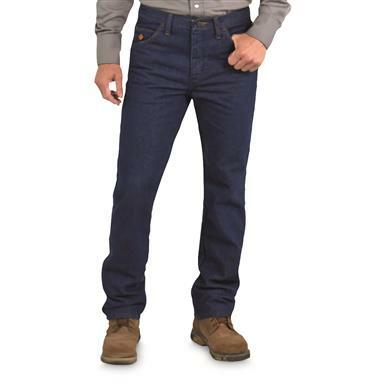 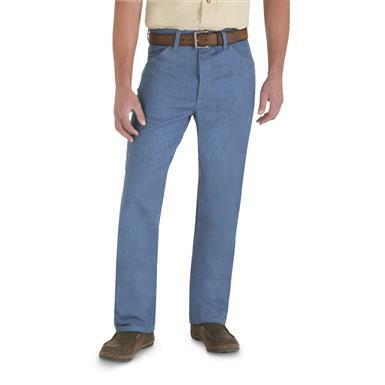 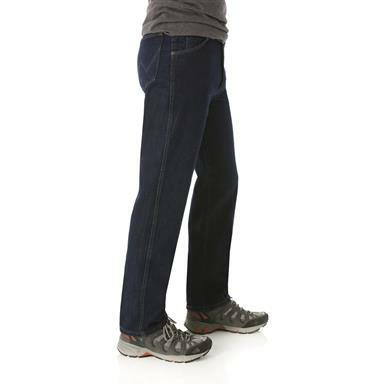 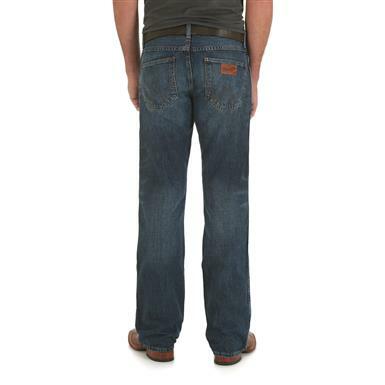 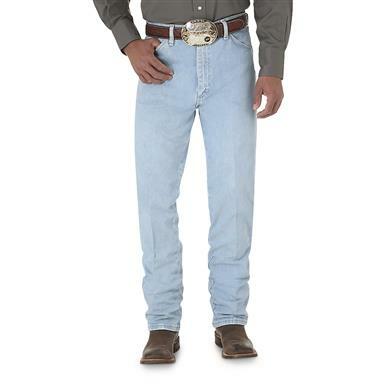 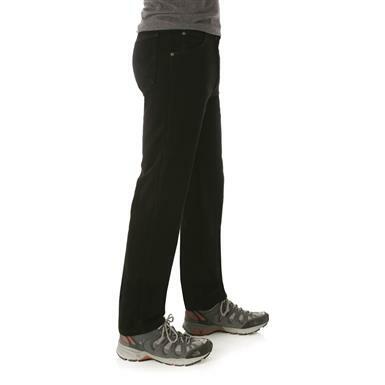 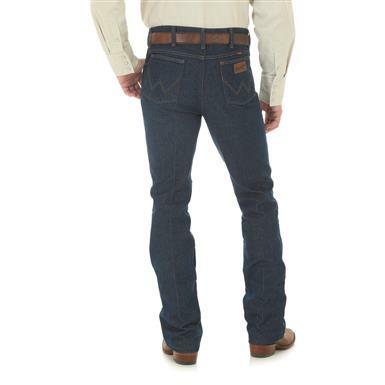 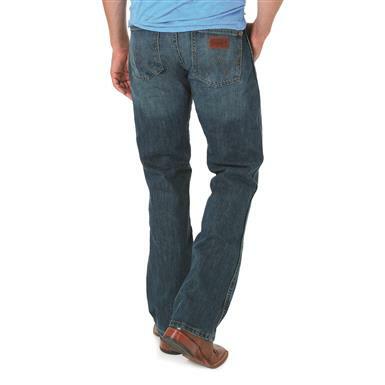 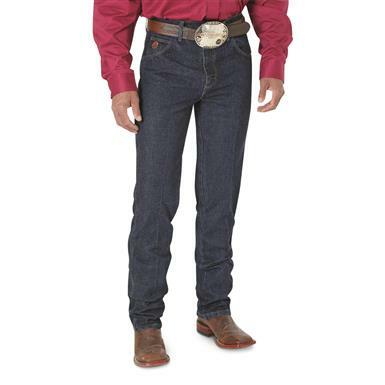 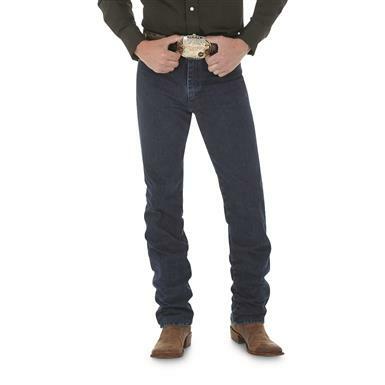 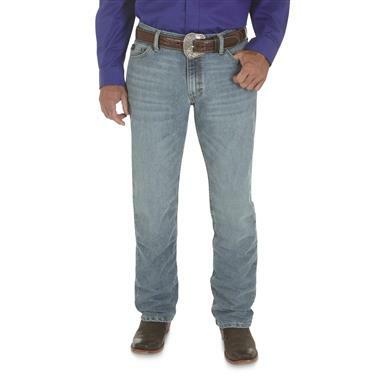 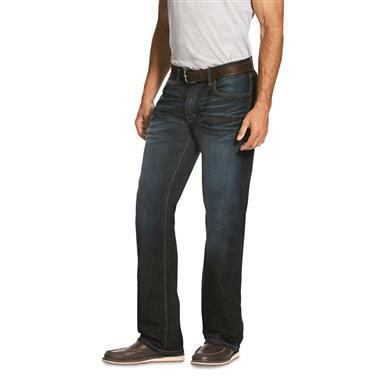 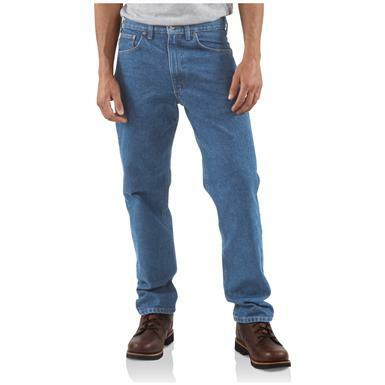 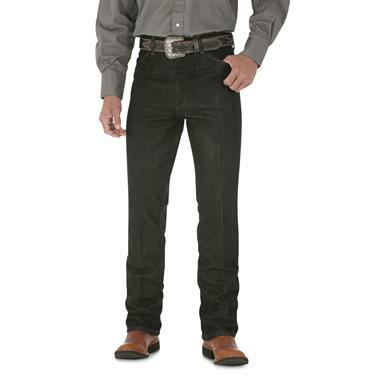 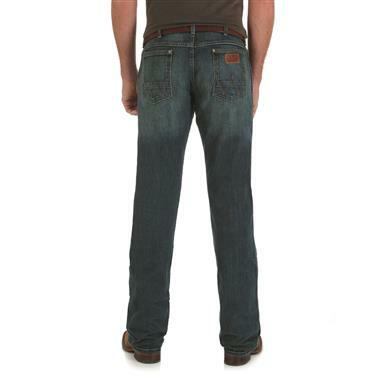 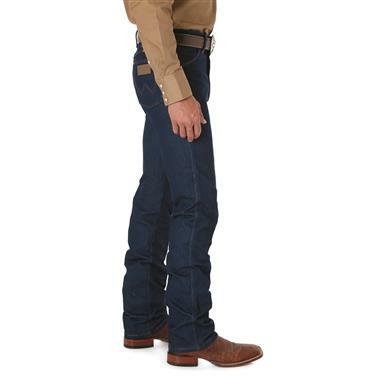 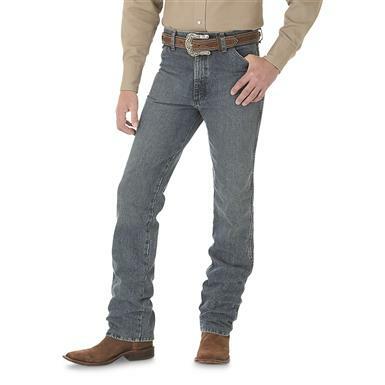 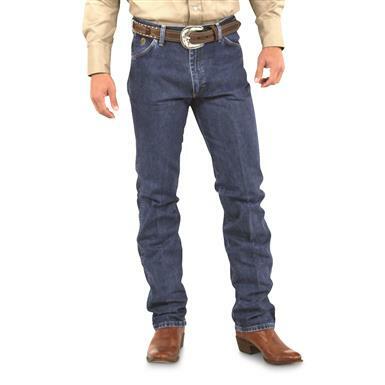 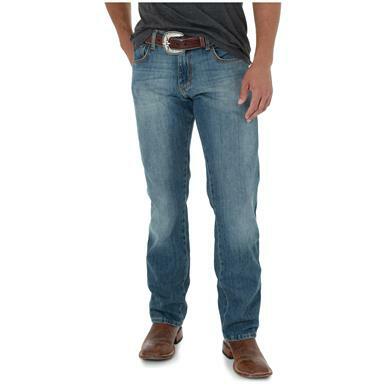 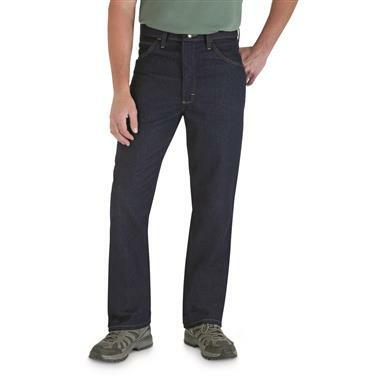 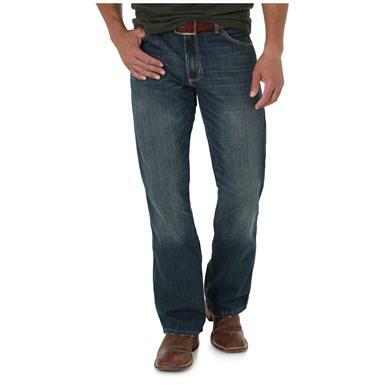 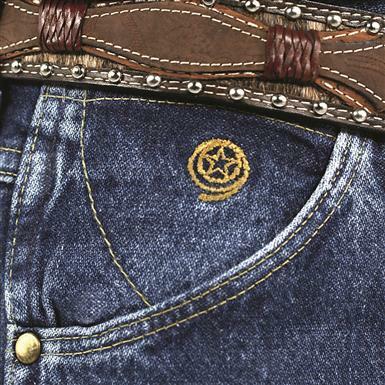 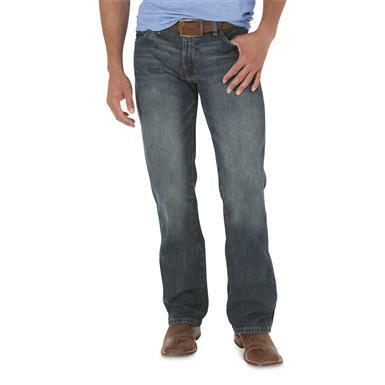 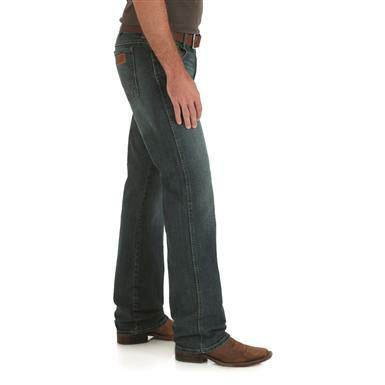 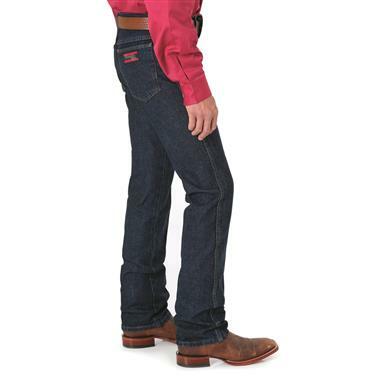 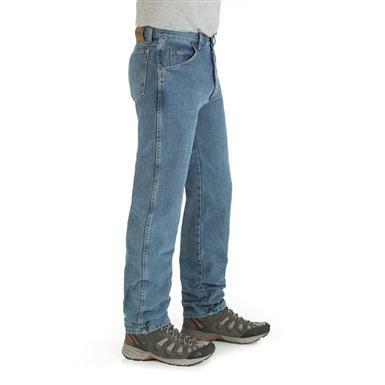 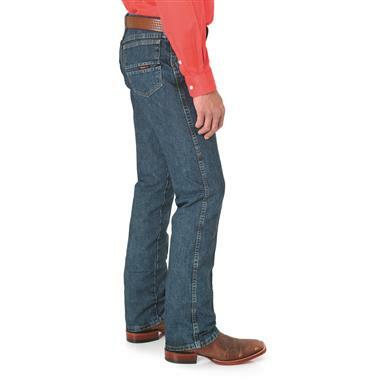 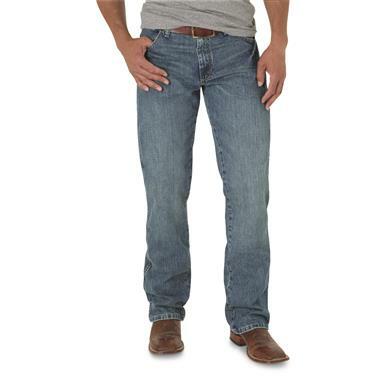 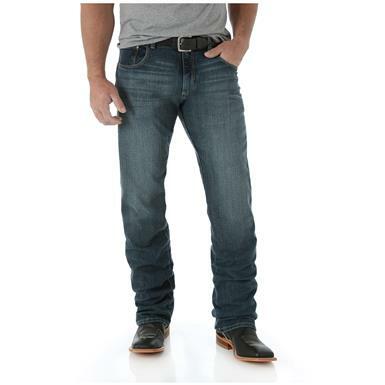 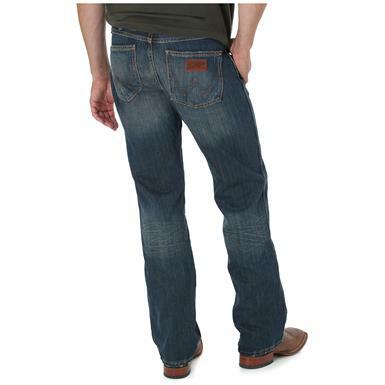 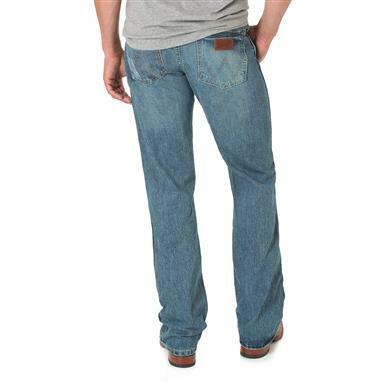 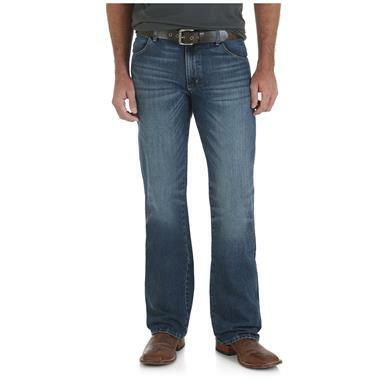 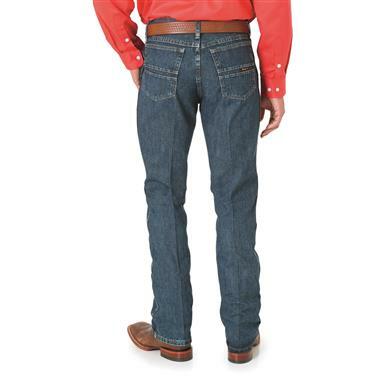 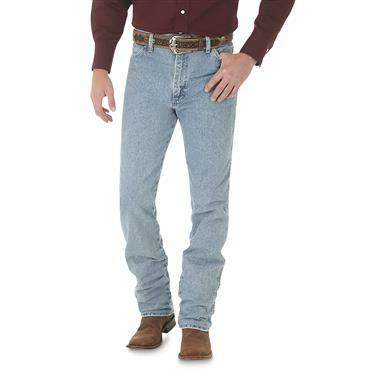 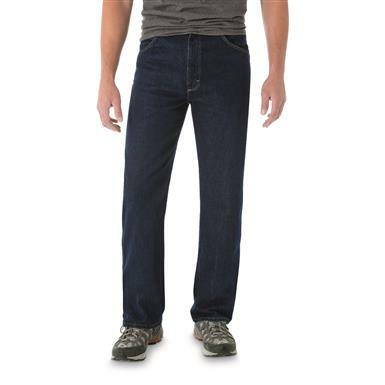 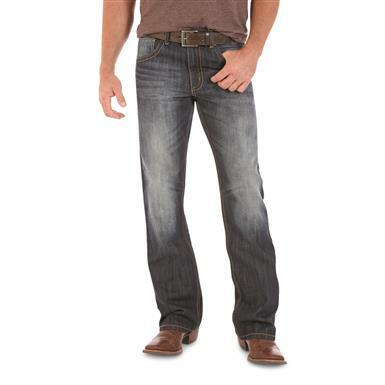 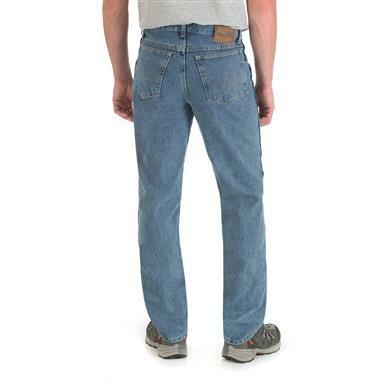 Flame-resistant Wrangler® Jeans in a slim-fit style. 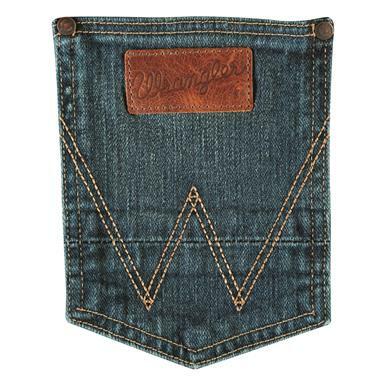 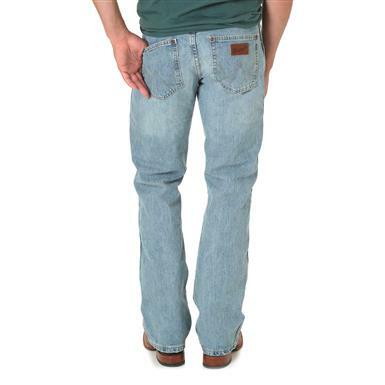 Classic 5-pocket style is durable and comfortable! 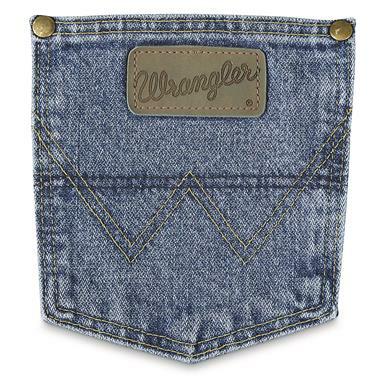 Vintage finish for an instant lived-in look. 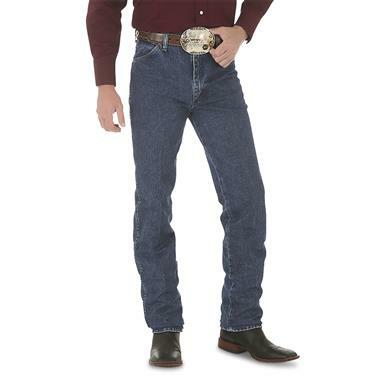 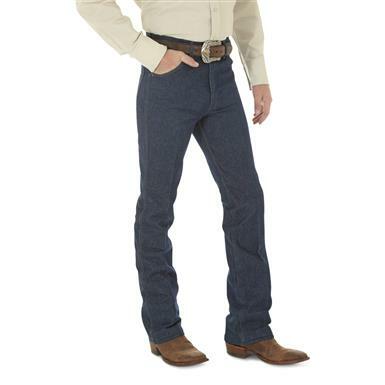 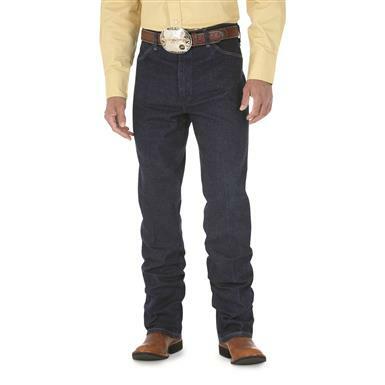 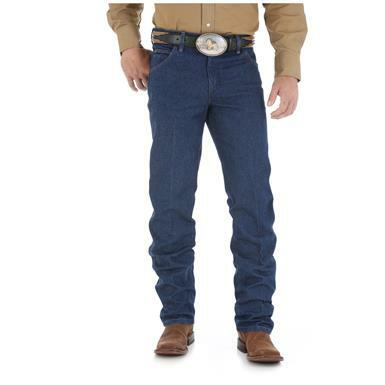 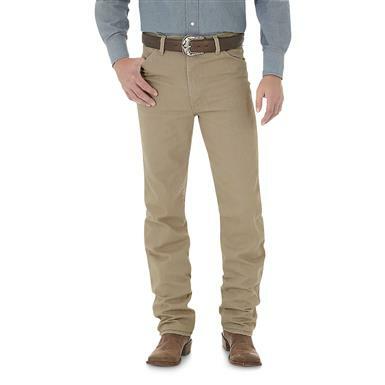 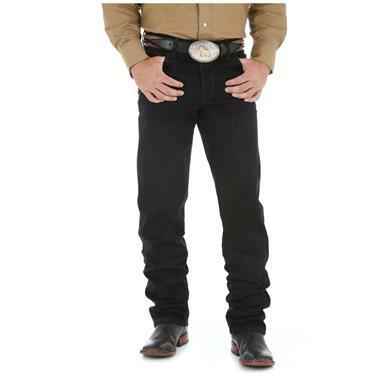 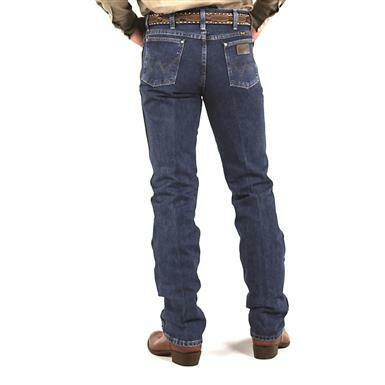 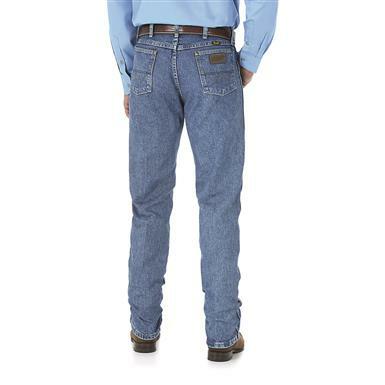 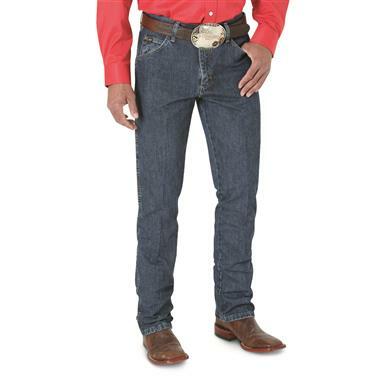 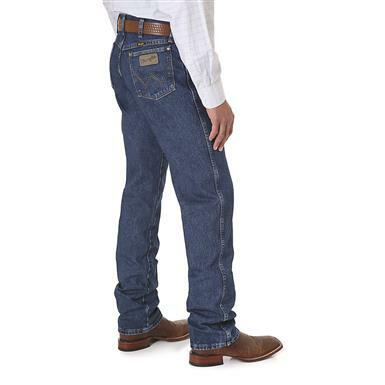 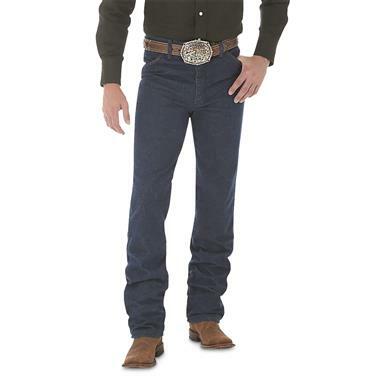 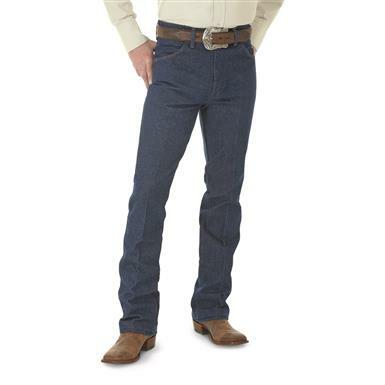 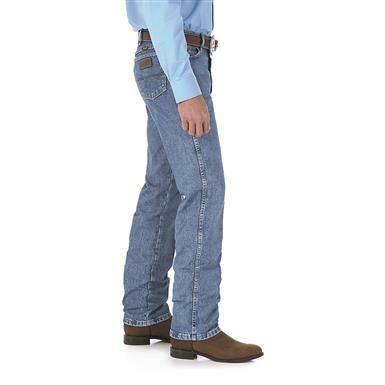 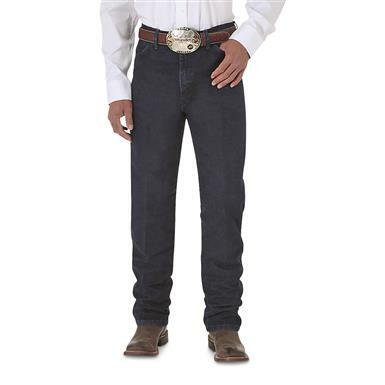 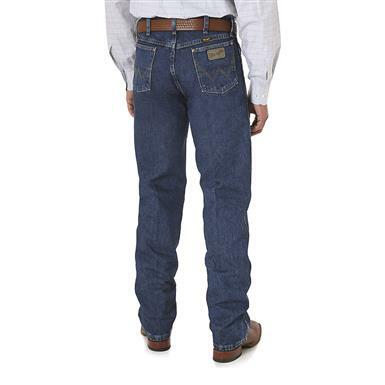 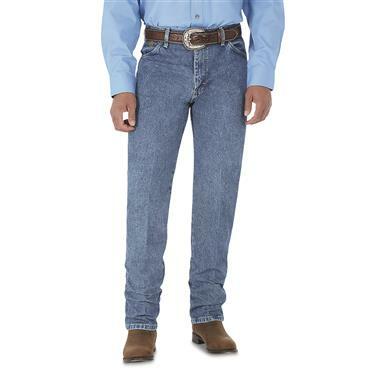 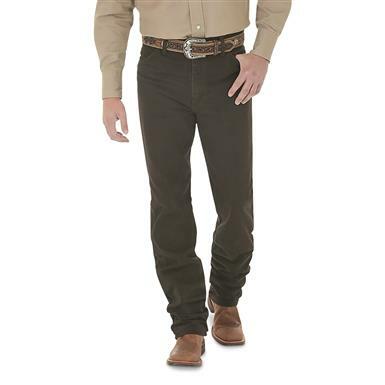 Stylish, durable and comfortable Wrangler britches for less!